Evernote is a fantastic tech tool that can help you get a grip on all the loose ends in your life. You simply install it on your computer and smartphone, and it will quickly develop into your digital file cabinet. Below, I have listed 7 examples of ways I use Evernote in my everyday life. It is always at the most random and inconvenient times I get caught needing one of my kids shot records. With my records saved electronically their shot records are with me wherever I go. It seems that every time we have a babysitter planned that it is total chaos beforehand. Keeping a babysitting file on hand with the bedtime routine and emergency information makes it simple to get out the door. I just email over the info to the babysitter. This is especially handy in the event of an emergency. Planning a vacation for a family is no simple task. Finding a place to stay, making travel plans and keeping track of the paperwork. Not to mention the work to get everyone out the door. I keep all my lists with everything we need to get packed in Evernote. It is so easy to share notes. I can send them over to my husband too. Family life is pretty busy, but it doesn’t stop those nagging tasks from needing to get done. Weekends in our house get pretty crammed. So, when there is time to get things accomplished, it is easiest to pull out my on-going “honey do” list. Always having this information it makes our trips to Lowes, Target and grocery store much more efficient. Managing your home or multiple homes is a lot of work. However, there is massive amounts of time to be saved by tracking all your home information through a paperless system. You can put warranty info, appliance info, leases, paperwork, pictures, and repair contacts all in Evernote. This allows you to easily and promptly deal with any home situation that occurs. I love all the awesome artwork and projects that my kids bring home from school, however, I can’t stand all the clutter of the paper. I save the absolute best of the best. The rest I snap a photo of, save in Evernote and throw it away guilt free. Keeping up with the back and forth of all the kids is exhausting. School schedules, sports information are all saved in Evernote. That way no matter where I am I can reference these events that we need to work around. If you would like to learn more information on getting up and running with Evernote and organizing everything within, check out my ebook, Evernote for Moms. It is a quick and easy read designed to get you started in one afternoon. So, what other lists and notes do you store on Evernote? I’d love to hear how you use this tool to make your life easier. 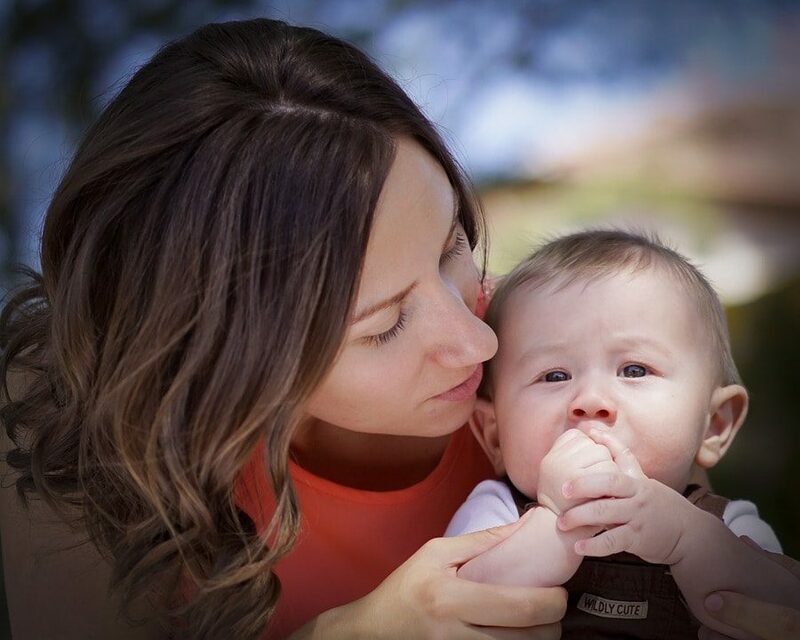 Lauren Rothlisberger is a mom to three girls and an Army wife who bounces around the country. In 2007 she went paperless and has never looked back. 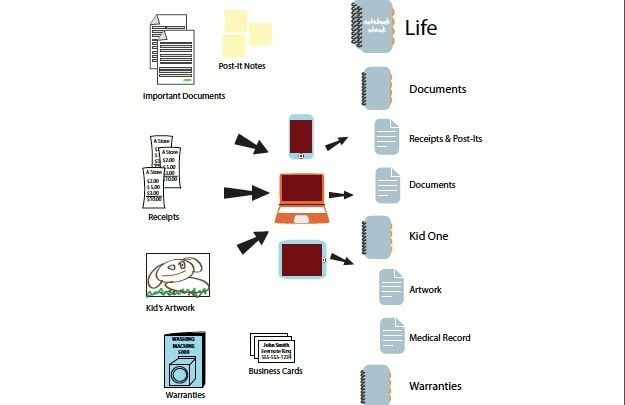 She blogs at GetMeGeeky.com on all things geeky, and she recently wrote an ebook called Evernote for Moms to help other moms achieve a paperless life!